The Arkansas Symphony Youth Orchestra and Ballet Arkansas Preparatory Program present their annual partnership and a celebration of the 400th anniversary of Shakespeare’s death. The music comes from musical works adapted from Shakespeare’s plays. The program includes music from Prokofiev’s Romeo and Juliet Suite No. 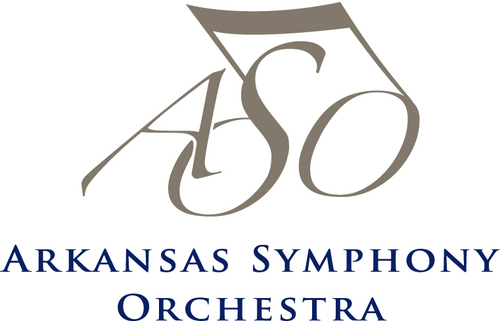 2, Bernstein’s West Side Story and Mendelssohn’s “A Midsummer Night’s Dream.” ASYO is the premier ensemble of the Arkansas Symphony Youth Ensembles Program. For the 3rd consecutive year, the dancers from Ballet Arkansas’ Preparatory Program under the direction of Kim Nygren Cox join the members of the Arkansas Symphony Youth Orchestra under the direction of Geoffrey Robson for a joint performance. The Arkansas Symphony Orchestra, Philip Mann, Music Director and Conductor, presents the sixth and final concert in the 2014-2015 Stella Boyle Smith Masterworks Series: Mozart, Prokofiev and Strauss. Piano virtuoso Yeol Eum Son takes the stage for the final Masterworks concert of the season, performing Prokofiev’s Piano Concerto No. 3. The program also features Mozart’s grand “Jupiter” Symphony, and Strauss’s Der Rosenkavalier Suite. The Masterworks Series is sponsored by the Stella Boyle Smith Trust. The concert takes place Saturday, April 11, 2015 at 7:30 p.m., & Sunday, April 12, 2015 at 3:00 p.m. at the Maumelle Performing Arts Center, 100 Victory Lane, Maumelle. Concert Conversations: All concert ticket holders are invited to a pre-concert lecture an hour before each Masterworks concert. These talks feature insights from the Maestro and guest artists, and feature musical examples to enrich the concert experience. 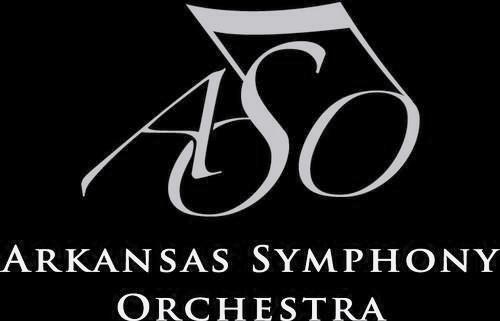 Tickets are $19, $35, $49, and $58; active duty military and student tickets are $10 are can be purchased online at www.ArkansasSymphony.org; at the Maumelle Performing Arts Center box office beginning 90 minutes prior to a concert; or by phone at 501-666-1761, ext. 100. All Arkansas students grades K-12 are admitted to Sunday’s matinee free of charge with the purchase of an adult ticket using the Entergy Kids’ Ticket, downloadable at the ASO website. Prokofiev composed Piano Concerto No. 3 after studying at the St. Petersburg Conservatory. It emphasis on virtuosity and sharpness of humor with the earlier concertos, but it also contains a strong helping of mature warmth, making it easier to approach and enjoy. Excerpts from the Der Rosenkavalier have been featured in concert virtually since the opera’s creation, although Strauss did not prepare many of them himself. This popular concert suite appeared in 1945, without crediting an arranger. It presents an enchanting medley of the opera’s most glorious moments, including the surging Prelude; the presentation of the silver rose; a luscious love duet between Sophie and Octavian; a teasing, languorous waltz associated with the lecherous Baron Ochs; the ecstatic final trio and duet; and another, quicker waltz to finish. The Arkansas Symphony is still going strong in their 2014-2015 season. There are still concerts remaining in each of the Symphony’s series. The lineup for next season’s Landers FIAT River Rhapsodies Series has recently been announced. All concerts in this series take place at the Clinton Presidential Center Great Hall and start at 7pm. Though there are several concerts remaining in each of their series, the Arkansas Symphony Orchestra has announced three of their 2014-2015 series. Next year is the first of their two-year hiatus from Robinson Center Music Hall (as it gets transformed into a true music hall instead of a civic gathering room). The Stella Boyle Smith Masterworks Series will be performed at the Maumelle Performing Arts Center. To entice audiences who have been used to attending Robinson for ASO concerts for 40 years, Music Director Philip Mann has programmed a line up with many familiar composers. In addition, an Oscar winning musical genius will be presented. The series will kick off on September 27 & 28 with Rachmaninoff’s Piano Concerto No. 2 featuring Andrew Staupe on piano. Also on the program will be John Corigliano’s Promenade Overture and Brahms’ Symphony No. 2 in D Major. Corigliano is the Oscar winner, having won for composing the score of The Red Violin. On October 18 & 19, the ASO will heat things up with Blazing Brass featuring trumpeter Richard Jorgensen. The program will consist of Haydn’s Trumpet Concerto in E-flat Major and Bruckner’s Symphony No. 7 in E Major. The now annual Beethoven and Blue Jeans concert will be November 8 & 9. Sharon Isbin’s guitar work will be featured as the ASO plays Corigliano’s Three Hallucinations from Altered States as well as his Troubadours-Variations for Guitar and Chamber Orchestra. The Beethoven portion of the evening will be his Symphony No. 5 in C minor. The Masterworks series will ring in 2015 on January 31 & February 1 with a Tchaikovsky & Mozart Festival. Vladimir Verbitsky will be guest conductor. The evening will feature violin soloist Randall Goosby. The program consists of Tchaikovsky’s Polonaise from Eugene Onegin, Mozart’s Concerto for Violin No. 5 in A Major, and Tchaikovsky’s Symphony No. 4 in F minor. On February 28 and March 1, the ASO will present Schubert’s “Unfinished.” In addition to that masterpiece, the musicians will play Wagner’s Prelude to Die Meistersinger and Brahms’ Concerto for Violin in D. Major. The Masterworks Series for 2014-2015 will conclude with an evening of Mozart, Prokofiev & Strauss. 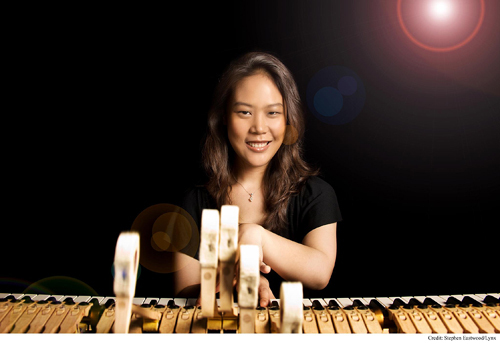 Pianist Yeol Eum Son will be the featured guest artist. The program will consist of Mozart’s Symphony No. 41 in C Major – Jupiter, Prokofiev’s Piano Concerto No. 3 and Strauss’ Der Rosenkavalier, Op. 59 Suite. All Masterworks concerts will be performed at 7:30pm on Saturday evenings and 3pm on Sunday evenings. The other ASO series will be previewed by the Culture Vulture in the coming days. The Arkansas Symphony Orchestra River Rhapsodies concert series continues tonight with cellist Inbal Segev. Israeli-American cellist Inbal Segev’s playing has been described as “characterized by a strong and warm tone . . . delivered with impressive fluency and style,” by The Strad and “richly inspired” by Gramophone. Equally committed to new repertoire and known masterworks, Segev brings interpretations that are both unreservedly natural and insightful to the vast range of music that she performs.